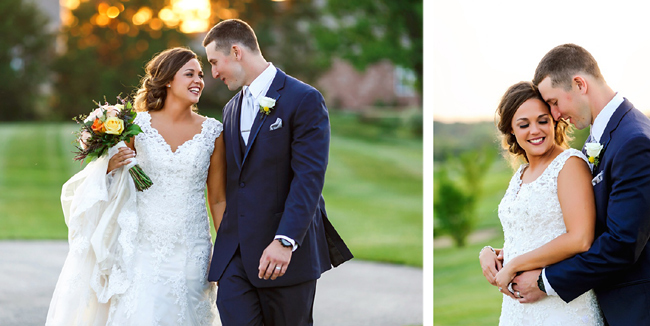 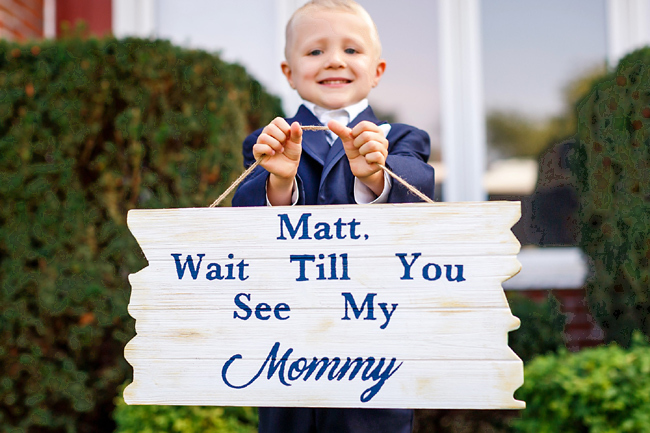 You can tell from these photos that Emily and Matt are really terrific, and their wedding was definitely terrific, too! 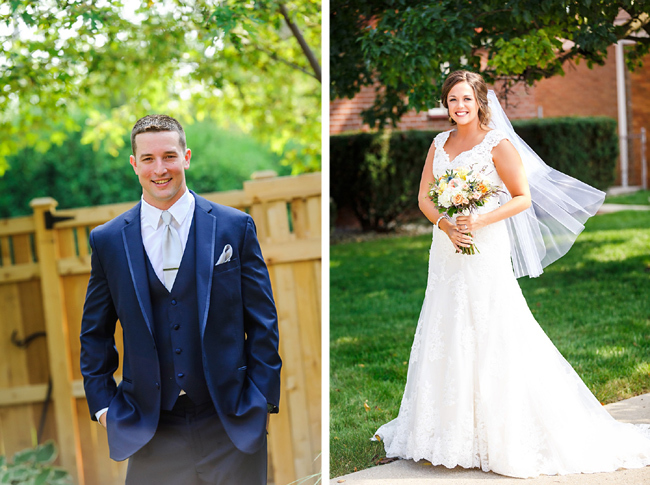 From the beautiful ceremony at St. Bede the Venerable in Chicago to the gorgeous reception at Palos Country Club, everything was amazing. 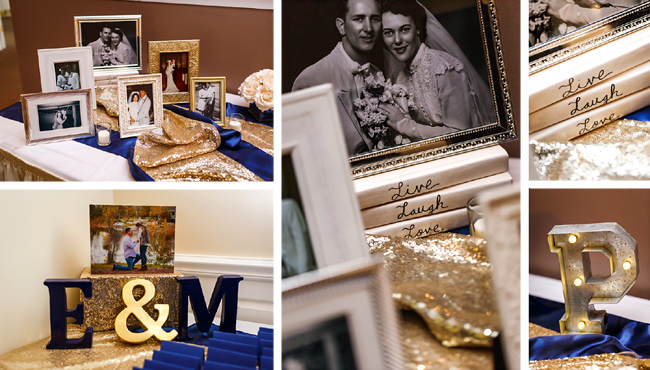 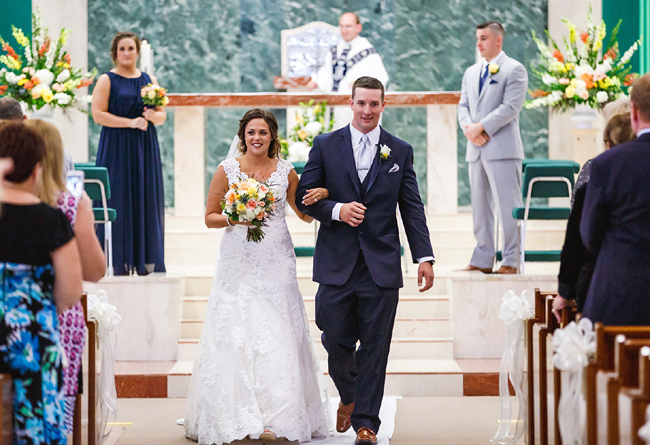 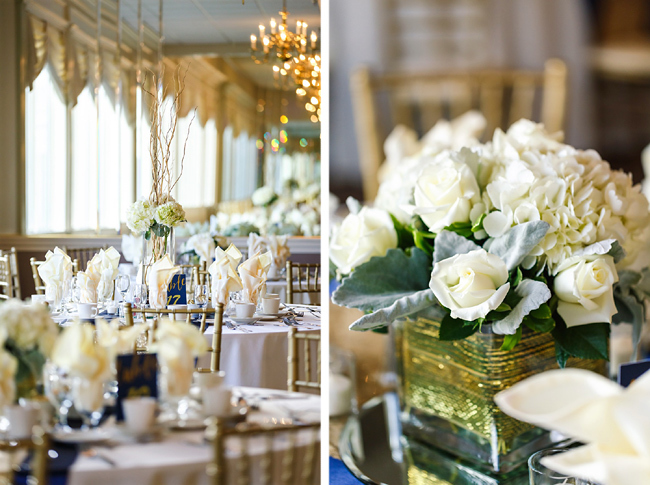 We loved the navy and gold color scheme that Emily selected, splashes of other colors for variety in the bouquets, her diamond earrings from Matt, and all the personal touches throughout the day. 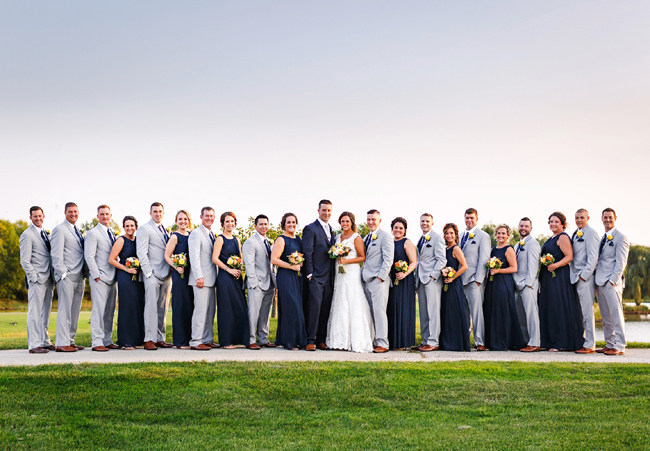 The bridal party was a blast, and the reception was so elegant with white blossoms and gold accents everywhere. 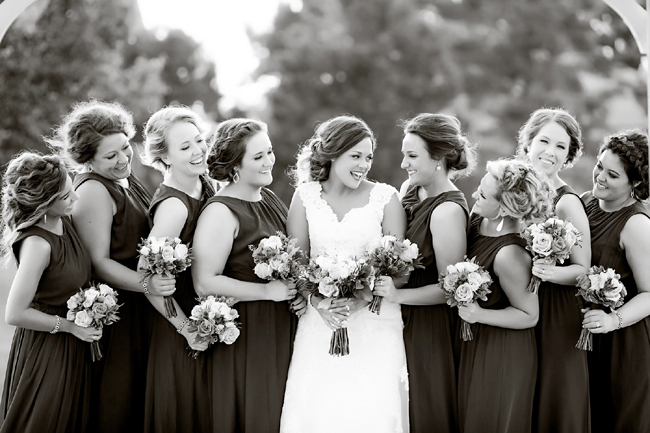 See it all at Nicole Defilippis Photography. 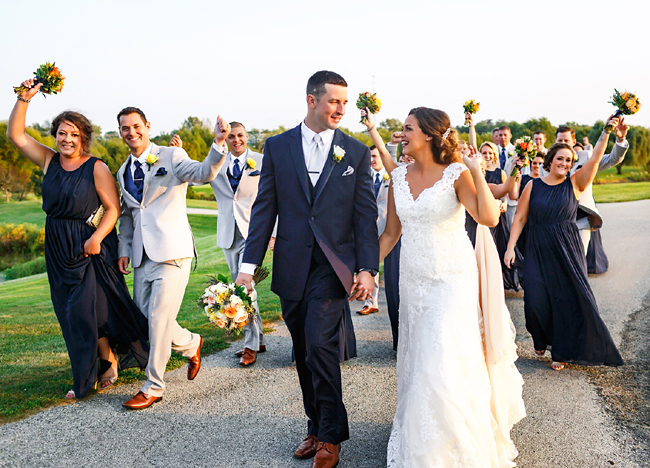 Thank you Emily and Matt for letting us play a small part. 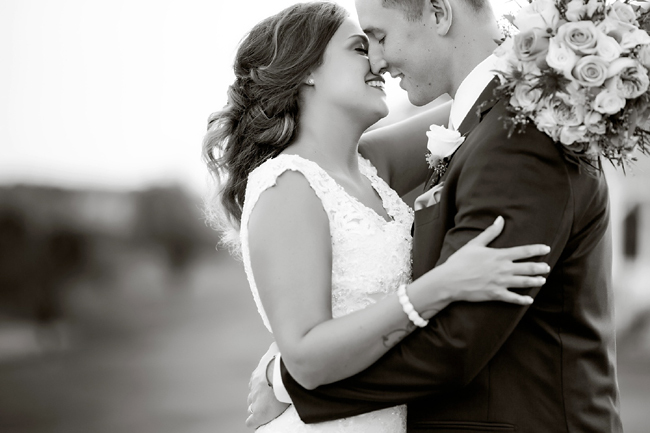 We wish you an eternity of love and laughter together.